Our corporate client department serves as a trusted advisor to many large multi-national corporations around the world. 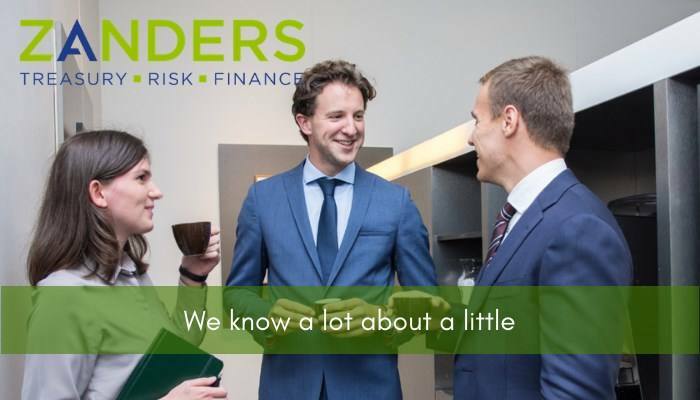 Because of our successful growth and large number of client engagements, we are looking for a Manager to join our Belgium team! Varied and personal training program that will elevate your soft skills and content knowledge. We are an international specialized consultancy firm advising global organizations within treasury management, risk management and corporate finance. Our clients choose us because of our specialist and trend setting ideas surrounding financial solutions. Our 160 Consultants work from our offices in The Netherlands, Belgium, United Kingdom, United States and Switzerland. Please send your application for Manager Treasury Technology at Zanders in Antwerpen including your CV via our website.